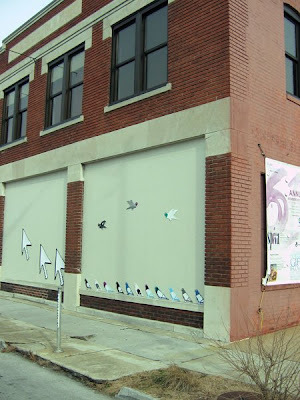 Have you noticed the west wall of Spiva Center for the Arts in downtown Joplin, MO? For the past couple of months, an unknown artist has been adding an installation piece by piece. 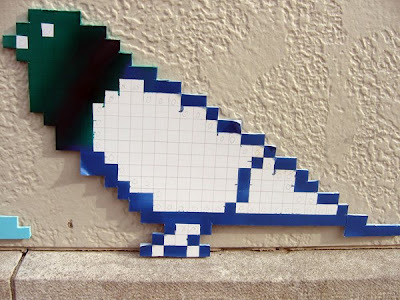 Pixilated pigeons, giant cursors. Carefully gridded, measured and drawn, and cut out of foam core. A few staff and board members have glimpsed the artist. They think it's a him. Jo Mueller, Director says, "I'm curious to see what develops, and am not inclined to interfere." So is this just carefully crafted tagging, perhaps a Basquiat in our midst? Will he meet a Warhol, get hugely famous, so much so that we all pull his work off the wall at Spiva to sell it on e-bay? Or is this just an observant perhaps slightly bored citizen that is just weary of a blank slate? Mueller also mentioned that "eventually the artists (and more, we hope) who created the permanent sculpture on the south side of the building will design something major for the west side of the building. That will require some significant funding which is not in place at this time. Until then, something's in motion. Let's see where it goes." We'll be watching. anonymous art? totally compelling. the fact that somebody is building something for the benefit of others (or perhaps just the amusement of themselves) and not telling anyone about it goes against everything we are told to believe about art: namely, GET PAID! GET RECOGNIZED! BE A MOTHERSCRATCHER! keep us posted, my friend. in the meantime, i'm gonna practice writing poems on napkins, only to leave them randomly lying about like gospel tracts at a sinner's ball. darn it. there i go again revealing myself. i do need the practice. 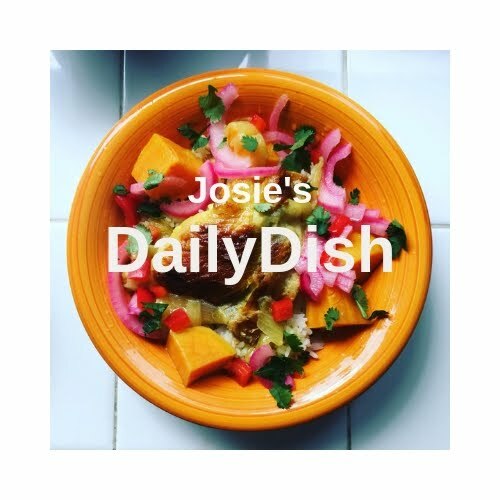 josie mai, you are beautiful! For some reason I thought that was advertising... I'm glad it's not. I would like to show some support... But how to go about it? Does the artist, being anonymous, want or care for any sort of recognition? that's probably the coolest turn of events I have been informed of in weeks.